We’ve improved the property search results on agency websites to a more cleaner look-and-feel:Note that if you have a national/group website or search results specifically customised for your website this change won’t be applicable to you. 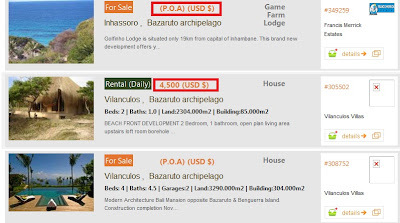 We changed the descriptions of property statuses in the OMS as follows:“Pending Sale” changed to "Sold (Pending)"
We are pleased to announce an upgrade to our OMS self service virtual tour solution.You now have the ability to upload HD quality (High Definition) virtual tours on property listings. Here is a preview of what it looks like – we’ve created this tour with a standard digital camera and tripod. Click on the full screen button to see the high resolution virtual tour in action.<="<"> We will update our help files in the next 48 hours with new virtual tour software and step by step instructions on how to compile these and upload it to properties.The virtual tours are available on www.MyProperty.co.za plus your own website if hosted through Entegral. There are no license fees, there are no setup costs, plus you can load as many HD quality virtual tours as you want. This is the perfect solution if you are looking to secure sole mandates.Watch this blog for more updates on the HD self service virtual tours including some real property examples. 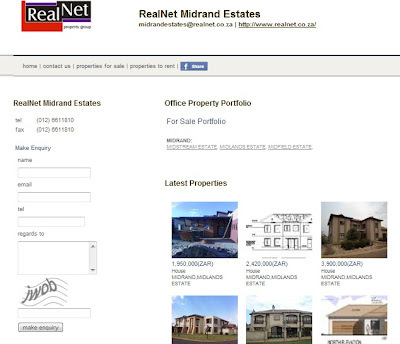 When you mark a property as ‘on show’ in the OMS, it will show on your own website (if developed by Entegral) plus the MyProperty website:http://www.myproperty.co.za/property-on-show-in-South-Africa.aspxWe normally see a surge in traffic to the MyProperty on show section on Fridays, so make sure you have your on show properties listed early in the morning or ideally beginning of the week.If you geocode your properties in the OMS, and mark the map location/address to show on websites, visitors to MyProperty will automatically get a driving directions feature on the property as per sample below. They simply enter their address and the system will work out the route. With the new MyProperty property search results, we exclude property listings without photos and descriptions by default. If visitors do a search they will see the count of excluded properties next to the checkbox e.g. ‘only listings with photos & descriptions (54 excluded) as per below. They can then un-tick it to show all the properties.It is therefore critical when loading listings in the OMS (or importing through our GRID system) that each property has a proper description and photo (note use of logos as photos are not allowed). This way you ensure that your listings are displayed by default.